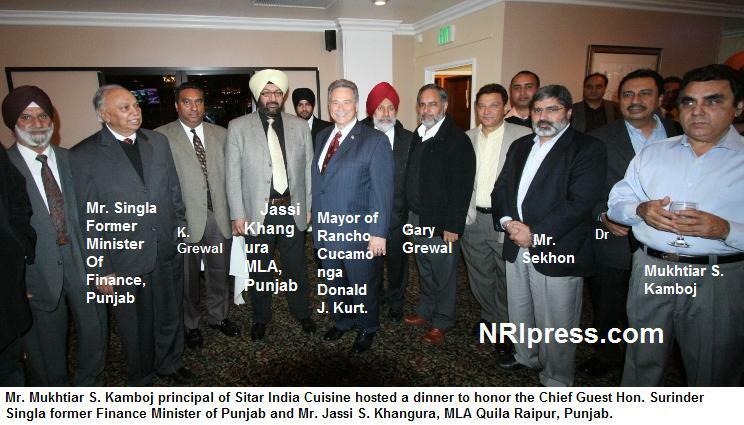 Who Is Your Most Respected NRI Politician? A respected politician from Punjab? Who would have thought? 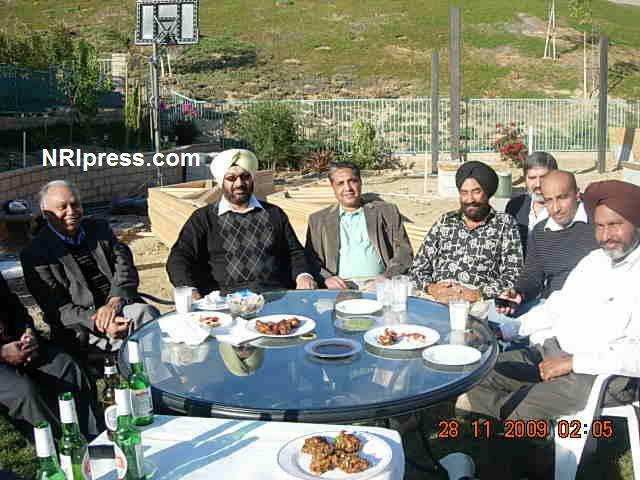 It was a beautiful sunny day Saturday November 28, 2009 in Simi Valley, California, at the residence of Mr. Rattan and Mrs. Parminder Joea. 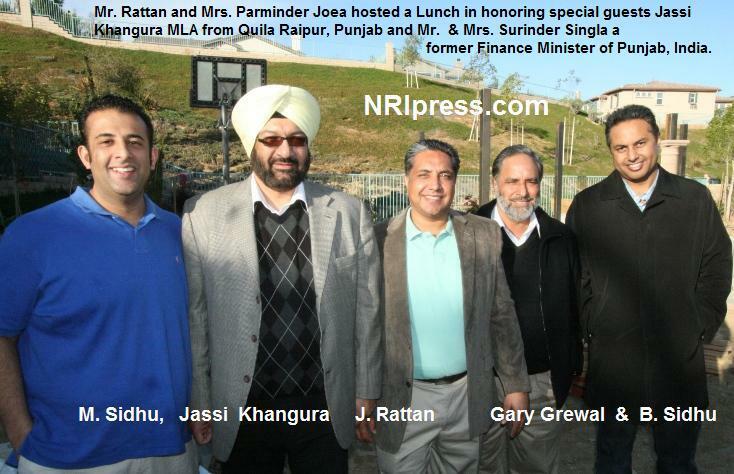 They hosted a Lunch in honoring special guests Jassi Khangura MLA from Quila Raipur, Punjab and Mr. & Mrs. Surinder Singla a former Finance Minister of Punjab, India. Joea family had made wonderful arrangements in the back yard of their beautiful house. Its surrounding was very peaceful and private. Tables with white linens and white chairs were arranged in such a way that everyone could see each other and listen to the guests when they speak. About 12:30 in the afternoon gusts started arriving. Within half an hour there were about 75 people. Most of them were entrepreneurs, successful business men, doctors and engineers. Delicious Indian snack and drinks were served and at about 1.00pm, Jassi Khangura made a statement loud and clear that NRIpress.com has been promoting him from day one. It was a great compliment coming from Jassi Ji. Q. Dr. Baljit Grewal : How can you eliminate corruption from Punjab? A. Mr. Singla: The only way is to reduce the Government. The Government is too big and the system is very corrupt and therefore, it is very difficult. A. Singla: Corruption is in all over the country. It is not only political but more in the government office. The whole system is corrupt. Administration burocracy system operates one to another. Q. Rajinder Kamoj: There is already an International Airport at Amritsar. Why there is a need for another at Mohali? A. Mr. Singla: At present there is only 25% Air traffic at Amritsar and Punjab is growing. Therefore we need more International Airport to accommodate International travelers. 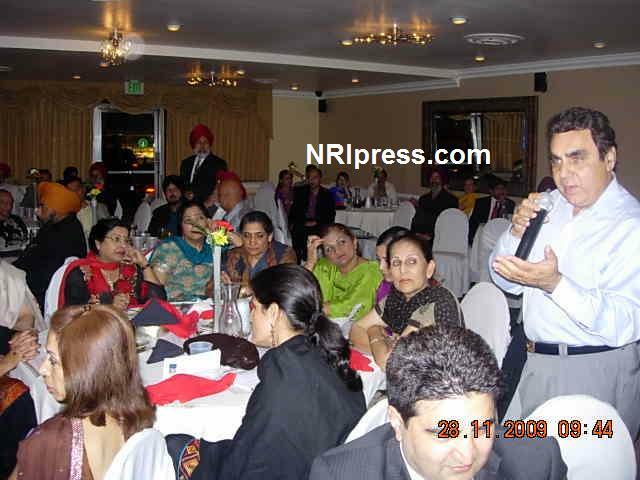 Q. Paul Brar: Why there is no good education in Punjab? A. Singla: The stimulus package is way down by the time it reaches the schools. Tweleve years ago there were 22 lacks of students in government schools and today there are only 16 lacks and are mostly from poor families. The teacher unions are another drawback. The teachers are absentees; they do not pay much attention. The middle class goes to private schools. The teachers unions are so strong that they do not let you change much. The same evening Saturday November 28, Mr. Mukhtiar S. Kamboj principal of Sitar India Cuisine hosted a dinner to honor the Chief Guest Hon. Surinder Singla former Finance Minister of Punjab and Mr. Jassi S. Khangura, MLA Quila Raipur, Punjab. It was organized in a beautiful banquet hall of the restaurant. The hall is tastefully designed & decorated. The round tables were covered with linins and beautiful fresh flowers bouquet on every table as a center piece. The chairs were also covered with the matching color fabrics. There was an open full bar and snacks set in a buffet style. Guest were mingling with each other and enjoying the delicious Indian Snacks sipping wine and other drinks. There were about 150 invited guests. There also was one VIP the Mayor of Rancho Cucamonga Donald J. Kurt. Manni Sidhu was the MC of the evening. First he introduced the Mayor and he welcomed every one and admired Indian culture, Food and the progress of the country of India. He said about Sikhs and Punjabis that they are very open, kind hearted, generous, helpful and progressive people. The second speaker was Jassi S. Khangura. He thanked and welcomed every one. He mentioned the situation in Punjab, the progress, achievements and problems. He explained how and what measures needs to be taken. He said we need more NRIs to come back to India and enter into politics so that collectively we will be able to improve the administrations corrupt system. Finally the Chief Guest of the evening Hon. Surinder Singla thanked and welcomed every one. He specially appreciated Mukhtiar Kamboj for hosting the dinner. He talked about Punjab and India in details. He gave facts and figures as well as compared various provinces of the country. He gave examples of other nations how they progressed and so on. This man has a vast knowledge in every area of life. He is very deep in political arena. In fact he is a human computer. He is a good friend of Jassi Khangura and spoke highly in his favor as he is excelling in the political world. At 10:30 very delicious India dinner was served and every one enjoyed the evening. Each and every one thanked Mukhtiar Kamboj for the evening. Mr. Kamboj is a very successful businessman. He owns and operates over 20 gas stations and has invested in real estate. He is very generous and donates to various charities for good cause. He is also the Chairman of Gurdwara Sahib, Lanker shim at present.